How does a real estate mobile app developer help your real estate business? Mainly, real estate companies develop mobile apps because of listings purposes, but that isn’t all. Agents and brokers are able to do marketing and promotion, as well. Allowing mobile app development companies to create a customized app for you enables them to integrate it with features such as IDX feed integration, geofencing and push notifications can help you recruit new clients on the basis of requirements, location and interest. 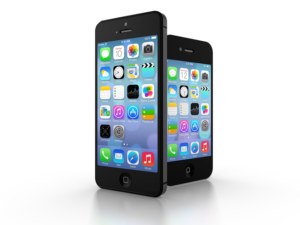 Real estate apps for iOS give prospective buyers the flexibility to contact agents or get property listings on the go. In the “olden days,” people had no proper price comparison tool, so all they could rely on was the rate stated by the agent, and the buyer would negotiate based on that. With a mobile app, customers can compare various properties and their prices to make an informed decision. Using an experienced mobile app developer to create an attractive, user-friendly and feature-rich real estate app for many different platforms can aid in your company’s market reputation. In other words, the app is your marketing representative. Real estate agents and brokers can use external features such as QR codes on “For Sale” signs, that enable the buyer to scan the code via a mobile device and be directed to the information on a mobile app or website. Another advantage to using a real estate mobile app developer is relators and agents can get a report on the number of downloads to gauge their popularity amongst mobile users. While your buyers can get useful information on properties through the app, you can get the quantitative info detailing new users and the most popular devices and operating systems buyers are using. One mistake real estate brokers and agents make when attempting to build their own mobile apps is nonrealistic cost expectations. It’s better to give the project to an experienced real estate mobile app development company that can easily give you all the monetary figures, and promise to deliver the best possible app in order to help mitigate your stress. If you’re a real estate professional who is seriously considering a mobile app for your business, it’s better to relinquish control of the project to the experts. Here at SnApp Real Estate, we are definitely an experienced real estate mobile app development company that promises to build you high performance real estate mobile apps, that will help you streamline your business and connect with clients easier. Take advantage of our easy to use and customize application technology. This entry was posted in app development company, apps for real estate agents, Mobile apps for real estate agents and brokers, real estate mobile apps, SnApp Development and tagged app development company, apps for real estate agents, Mobile apps for real estate agents and brokers, real estate mobile apps, snapp development. Bookmark the permalink.